Stand out at your next training session with this stylish short. The Panelled Polyester Short combines Canterbury’s iconic style with cutting-edge fabric technologies. Manufactured from 100% polyester tricot, this lightweight short keeps you dry and comfortable as you play your favourite games. Designed for superior on-field performance, the short empowers you by allowing for maximum flexibility in movement. The paneled sides in contrasting colours, complete with Canterbury’s CCC logo, offer style and instant solidarity with Canterbury’s well-established community of players and fans. 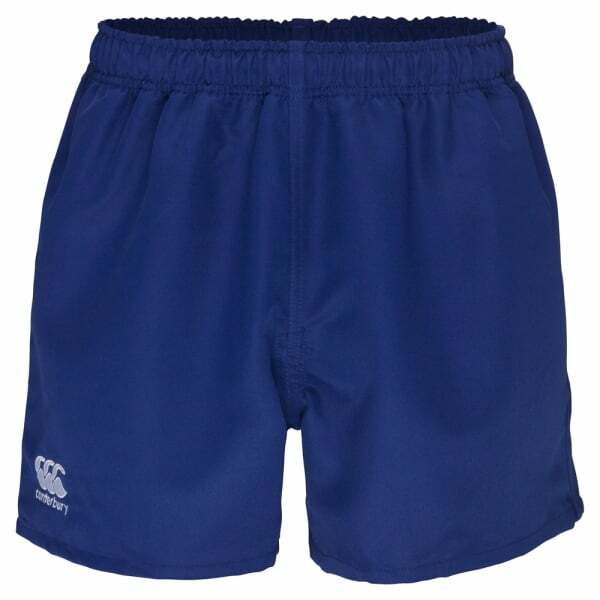 Fitted with an elasticated waist with drawcord, this short delivers an adjustable and close fit, so you’re free to focus on the training session or game at hand.